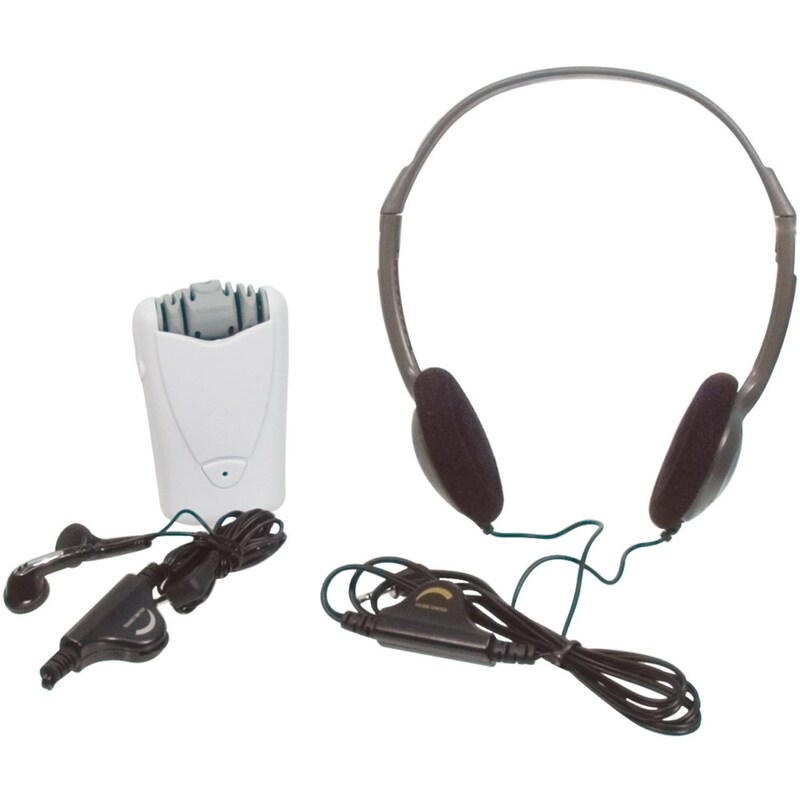 Ideal for the slightly to moderately hearing impaired person, the SuperEar Plus is perfect for watching TV or getting the most from the theatre, meetings, lectures, worship services or simple conversations. Unobtrusive earbuds are easily camouflaged in public. Comfortable stereo headphones (also included) are great for home use and provide hearing aid wearers with a welcome relief from in-ear aids. The SuperEar Plus increases ambient sound gain by more than 50 decibels and picks up sounds up to 100 yards away using a multi-element, high sensitivity 90-degree swiveling microphone. Stylish design weighs just 3 ounces and fits easily into pocket or purse. - Covered under a 5-year mfg. warranty.